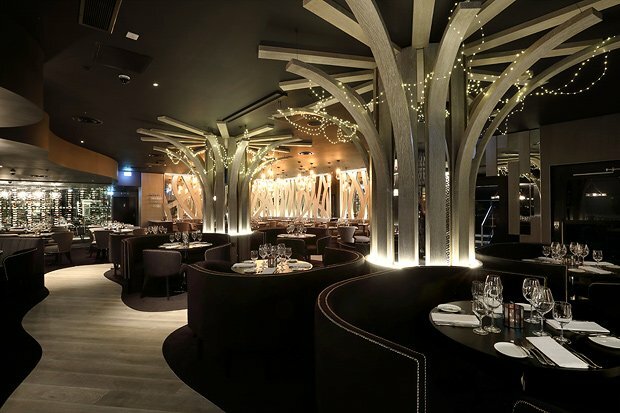 The most recent addition to Edinburgh's St Andrew Square development is Gaucho, the world renowned Argentinian steakhouse with other restaurants in London, Birmingham, Leeds, Manchester, Dubai, Hong Kong and Buenos Aires. The opening brings Chef Director Jamie Robertson back to home soil. Originally from Bonnyrigg, Robertson's had the chance to combine Argentinian beef with Scotland's natural larder to create dishes which highlight the vibrancy of both countries culinary offerings. 'If there's one thing Scots know, it's good beef', says Robertson. 'So I'm looking forward to bringing Gaucho's world famous menu back to a home crowd'. To ensure that guests have the best dining experience, staff have been trained to guide them through the menu using the Gaucho beef board which displays some of their signature cuts, including lomo, ancho and cuadril. Although Aberdeen Angus-bred Argentinian beef remains at the heart of Gaucho's concept, they've introduced new elements to Edinburgh's menu to make use of the rich larder on their doorstep. Haggis empanadas, locally produced sausages and specially selected beef from the Scottish borders all showcase Gaucho's attempts to source local. There are also 200 exclusive Argentinian wines to choose from, many from Gaucho's own vineyard in Mendoza, as well as a broad variety of Scottish whiskies and gins. If you've experienced the Electro Brunch at one of their other restaurants, you'll be pleased to know it's come to Edinburgh, along with their wine tasting sessions, beef masterclasses and mini Gaucho and young Gaucho menus. Locals may have beef with another of London's acclaimed restaurant brands riding into St Andrew Square, but Gaucho undoubtedly gives the city a taste of Argentine life while still acknowledging and celebrating Scotland's diverse food landscape. Gaucho, St Andrew Square, Edinburgh, opens on 11 Nov.
Argentinian fine dining with outstanding steaks and service.